For the offshore oil and gas industry, hydrocarbons fall loosely into three areas: oil, gas and mixtures of both (multi-phase) and therefore the method used for hydrocarbon leak detection will depend on which of the three is prevalent. Multiphase: both sensors can be used together. For crude oil pipeline leaks, lubricating oils, hydrocarbon based control fluids etc., Neptune’s Long Ranger fluorometer is used (see PLD Fluorescent Leak Detection (FPLD). For gas, Sniffit, a direct reading hydrocarbon leak detector, has been added to the range of Neptune Oceanographics’ leak detection systems. The Sniffit can detect gaseous hydrocarbon leakage in water and display data in real time. It is primarily a Methane detector but will detect all gaseous hydrocarbons. 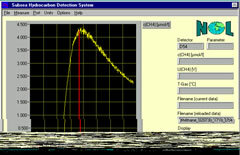 A new version of the Hydrocarbon Detector has recently been developed that will detect mono ethylene glycol (MEG). The SNIFFIT system uses two types of sensor depending on requirement. For methane and similar an underwater gas sensor is used. 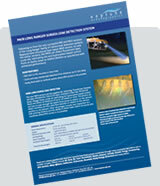 A prime application for the technology is detecting leaks from subsea gas pipelines and installations. SNIFFIT is a unique, real-time system for gaseous hydrocarbon detection in water. In the offshore oil and gas environment, SNIFFIT is an essential tool for detection of gaseous leaks from pipelines and other sub-sea installations. The simple to operate system is designed for easy fitting aboard ROVs, AUVs and other underwater vehicles. Measurements are made directly by the SNIFFIT system and results are displayed in real-time via the user friendly software package. This sensor is essentially a methane detector but it is equally a general hydrocarbon detector that will respond to most hydrocarbons, however, the potential for oil contamination on the sensor's membrane make it less suitable for oil detection but good for gas detection. 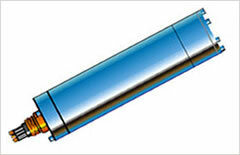 The very high sensitivity of the sensor also makes it ideal for the detection of gas seepage from the seabed. By careful investigation around an area of leakage from the seabed, or any other source (pipelines, etc), an estimate of the quantity of leaking fluid can be determined. To learn more about Neptune Oceanographics' hydrocarbon leak detection solutions, please contact us now on 08453 707 177. Additional data for route surveys - gas vents etc.